Mr. Kustom builds the promotional vans for Benny The Bull, the mascot for the world famous Chicago Bulls basketball team. 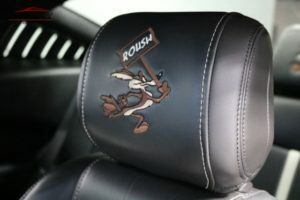 Part of the custom interior work included new red – black leather covered driver and passenger seats. 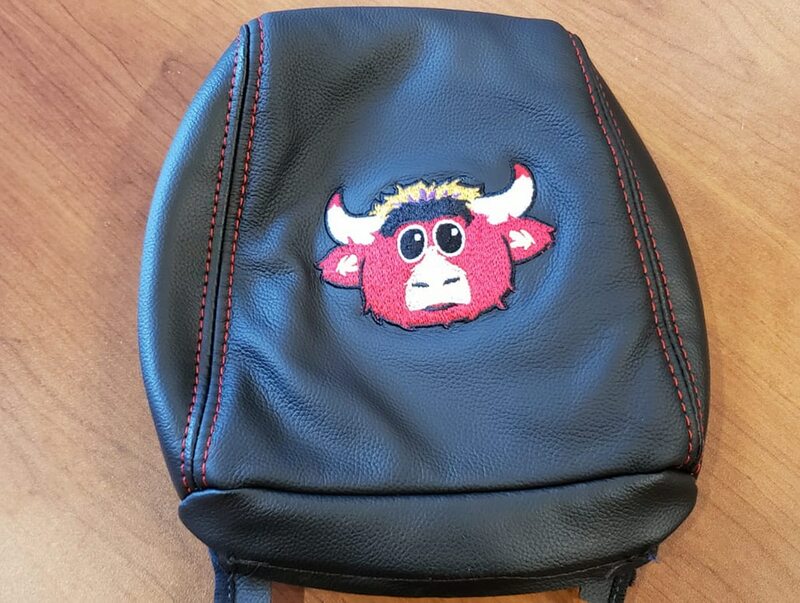 The headrests were embroidered with the Benny The Bull logo design. 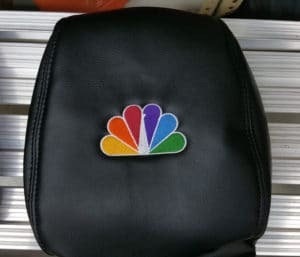 Multi-Colored stitching was used to make a reproduction of the mascots logo embroidered onto the headrest.